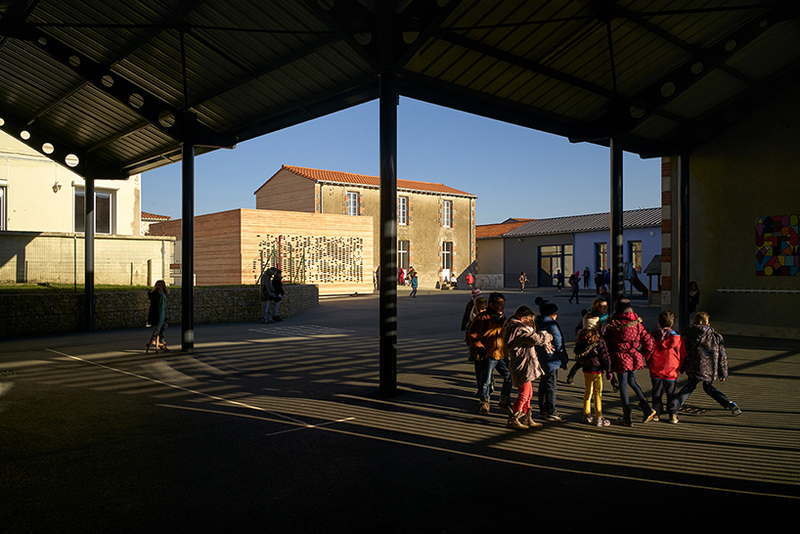 julien lanoo is an architectural photographer known for his documentation of buildings and locations around the world. 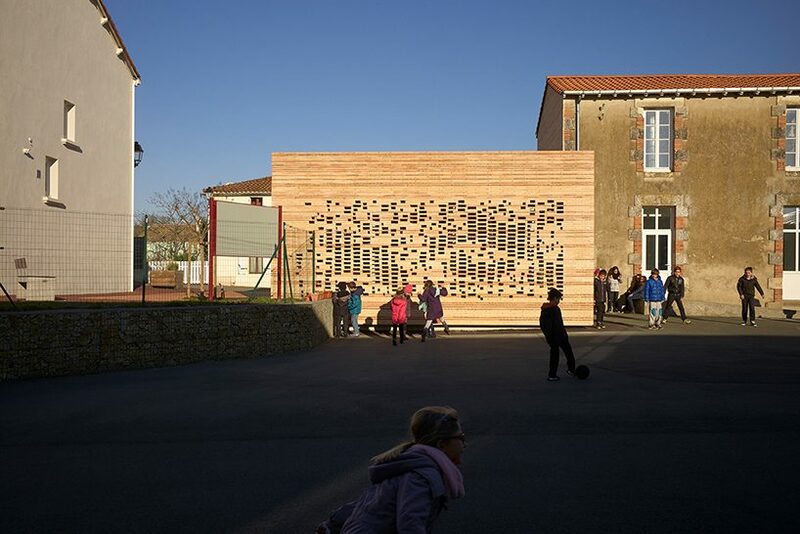 a simple volume serving as the extension to the town hall in chaillé-sous-les-ormeaux, western france has been completed with an envelope crafted from locally produced bricks. 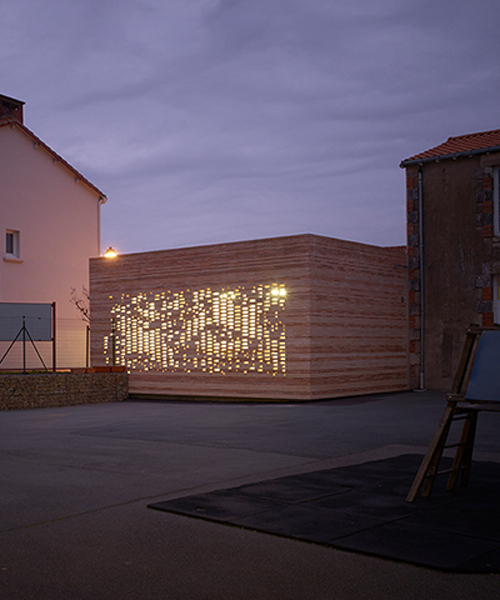 designed by titan, the perforated pattern establishes a distinctive but subtle detail, which filters sunlight internally during the day and lights up during the evening. 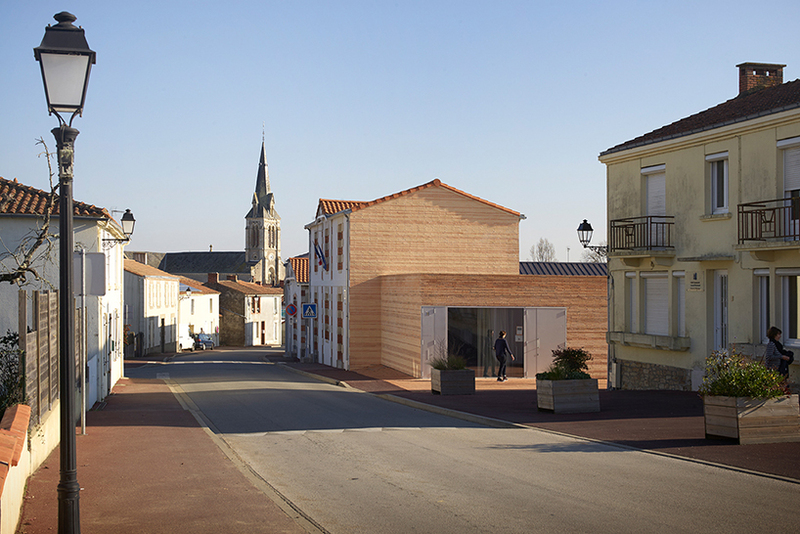 the project by nantes-based architecture firm titan is defined by a simple composition of volumes that preserves its urban significance. scale, refinement of elements and the relationship to the context were the themes that dictated the final proposal. 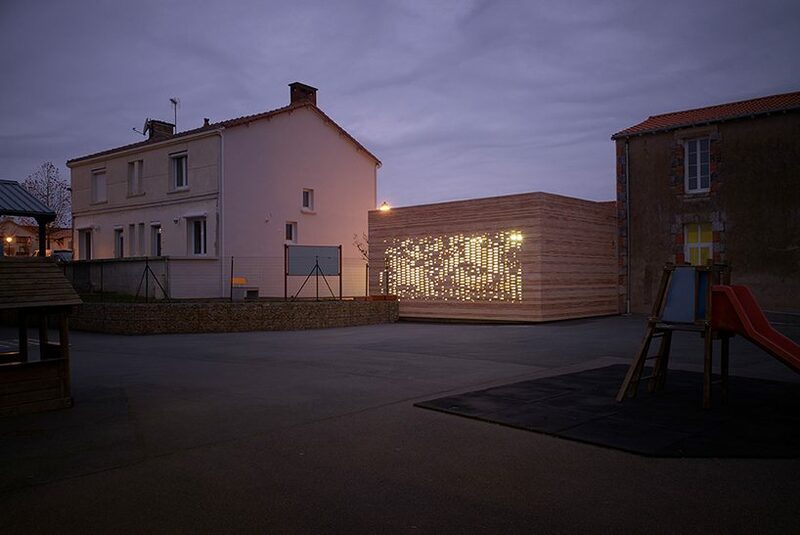 the extension itself is detached from the communal hall and opens to the west and redefines the public space. 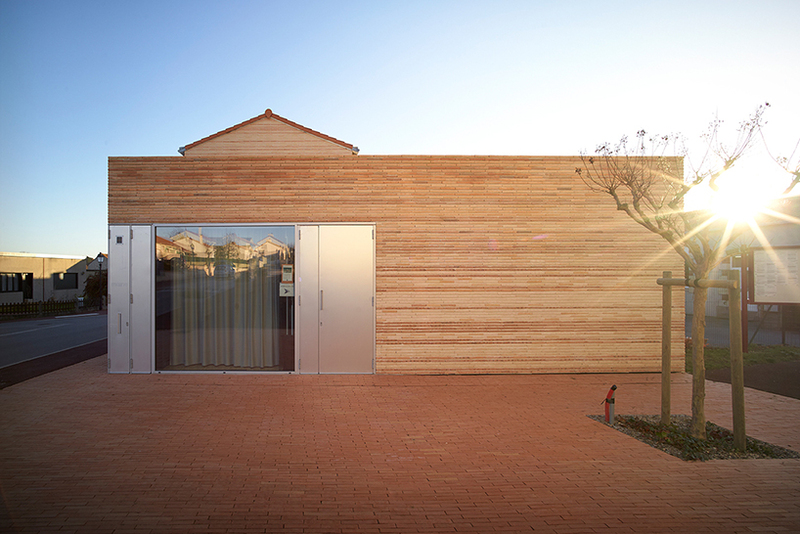 the sand-colored envelope establishes itself as the core element of the building, allowing the natural material qualities to give character to the overall appearance. 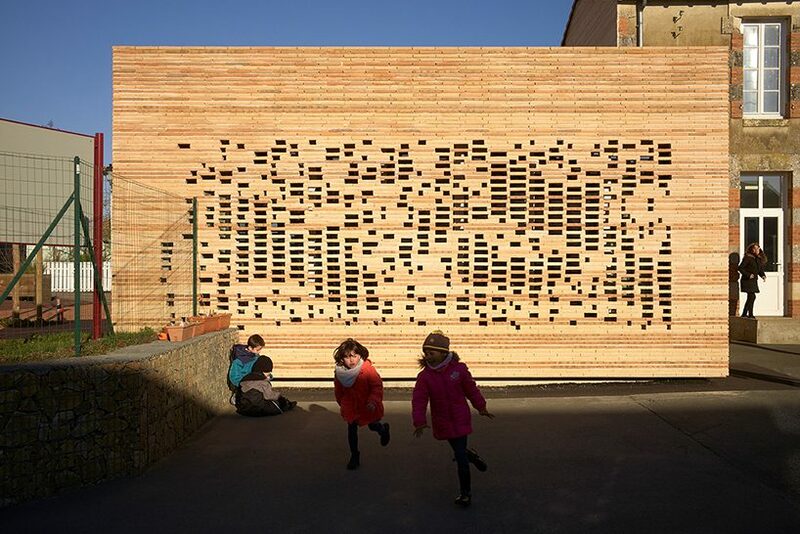 as well as providing passive insulation, the choice in material — concrete wrapped in a perforated brickwork screen — enabled the use of customized manufacturing and implementation. 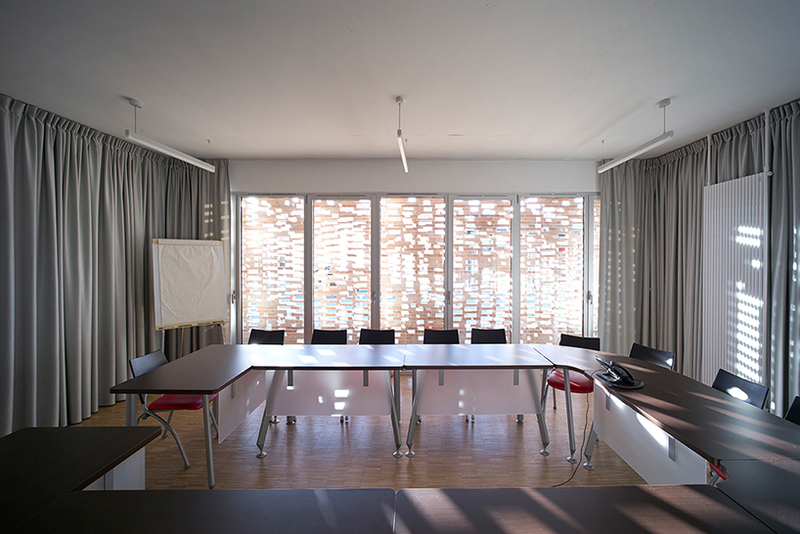 privacy and protection from direct sunlight is implemented through a mashrabiya — an effective method used against intense sunlight originating from the middle east. 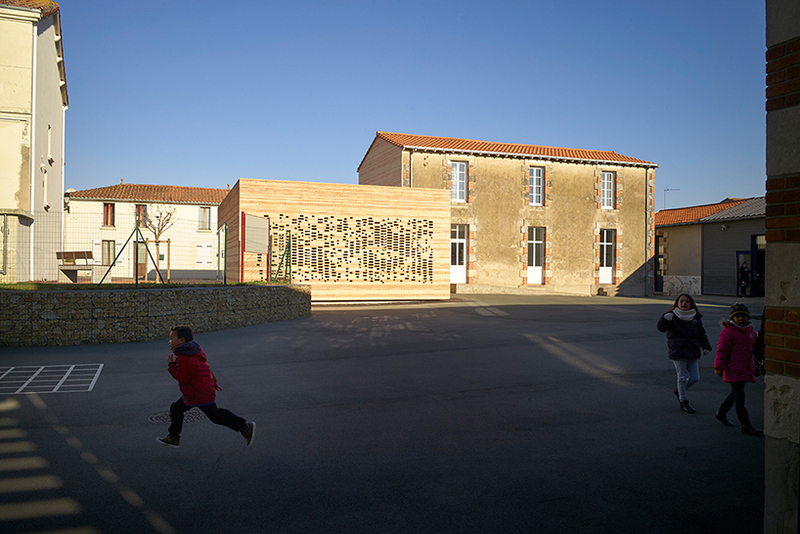 the brick façade transforms into terracotta paving and gently extends towards the ground, creating a harmonious contrast between old and new, and a visual connection with the town hall and the municipal school block.